GREENVILLE, S.C. (March 5, 2018) – On March 9-18, the Junior League of Greenville (JLG) will host its inaugural Shop for Greenville fundraiser, a 10-day discount shopping event featuring 78 local businesses. All of the proceeds will support the JLG’s programs and partnering community agencies who work to improve the lives of women and children. Read the full press release here. GREENVILLE, S.C. (November 16, 2017) – The Junior League of Greenville (JLG) is hosting a celebratory drop-in to raise awareness about its inaugural Little Black Dress Initiative (LBDI), a social media driven fundraising campaign from November 13-17 that features the iconic LBD. Read the media alert here. GREENVILLE, S.C. (November 8, 2017) – On November 13-17, the Junior League of Greenville (JLG) will hold its inaugural Little Black Dress Initiative (LBDI), a social media driven fundraising campaign that uses the iconic LBD to raise awareness about the JLG’s mission and those less fortunate in the Greenville community its Members serve. The JLG will host a drop-in to celebrate the campaign and raise awareness, which will be open to the public on Thursday, November 16 from 5:30-7 p.m. at Nose Dive. Read the press release here. 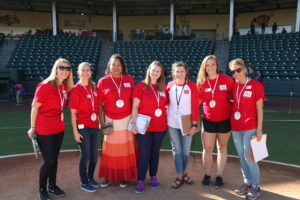 GREENVILLE, S.C. (September 27, 2017) – The Junior League of Greenville (JLG) will hold its 10th annual Home Run for Healthy Kids® event on Oct. 4-6 at Fluor Field. This year, the free, three-day educational field trip will bring together nearly 2,800 students from Greenville County Schools, specifically targeting Title 1 or lower income schools. Read the press release here.